Your company templates can include client tasks, which will be carried across to any work items created from the template. 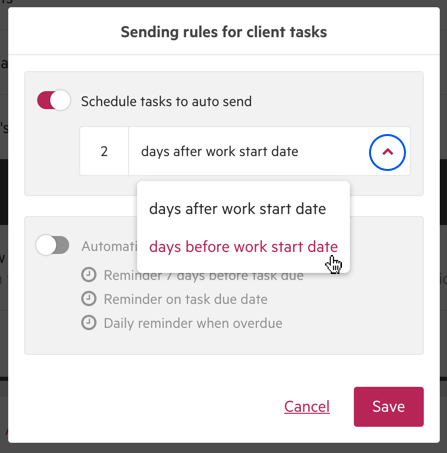 You can add client tasks to any of your work templates. Due dates will be assigned just like other tasks on a template.